The Northern Soul style revival is fast turning into an all-nighter: introduced to a new generation via Elaine Constantine’s fantastic 2014 film, Topman Design sealed the return of the subculture’s style codes with its SS16 show. But for those among the thousands of teenagers who danced to the same beat in the north of England in the 1970s, keeping the faith has never been a question of trends. The wider than wide flares, nipped-in knit tanks and appliqued patches we’ve come to associate with the era (and saw on the runway at Topman) were more than just a statement of belonging. In the heaving ballrooms and halls that hosted Northern Soul club nights in the late 60s and 70s, they were a matter of practicality. As one vest read at the Topman show on Friday, the clothes they wore were intimately connected to how they moved: you’ve simply got to “Danz like you’re Northern”. 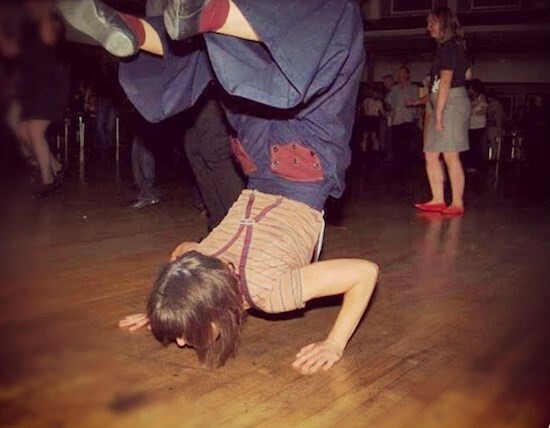 One of the UK’s most enduring, evocative style subcultures, Northern Soul is a prime example of fashion and music’s mutual ability not only to shape subcultures, but to absorb vibrations of youth cultures across the world decades before internet connectivity and Pinterest boards. Ripping style codes of the past in order to start again, the clothing of Northern Soul lets us tap into a nostalgia that’s more about an attitude than mere appearances. The look of the clothes was a direct consequence of their function – non-stop dancing – and capture the pure, real adrenaline of adolescence. The three songs that traditionally ended every all-nighter speak to the mix of endurance and era specificity that marks Northern Soul style: “Time Will Pass You By” by Tobi Legend, “Long After Tonight is Over” by Jimmy Radcliffe, and “I’m On My Way” by Dean Parrish.